A distraught parrot owner may face getting booted out of her home after neighbours complained that her birds who sing the McDonald’s theme tune are too noisy. But the couple have been ordered to rehouse the bird of face eviction following complaints from neighbours that the parrots are noisy. 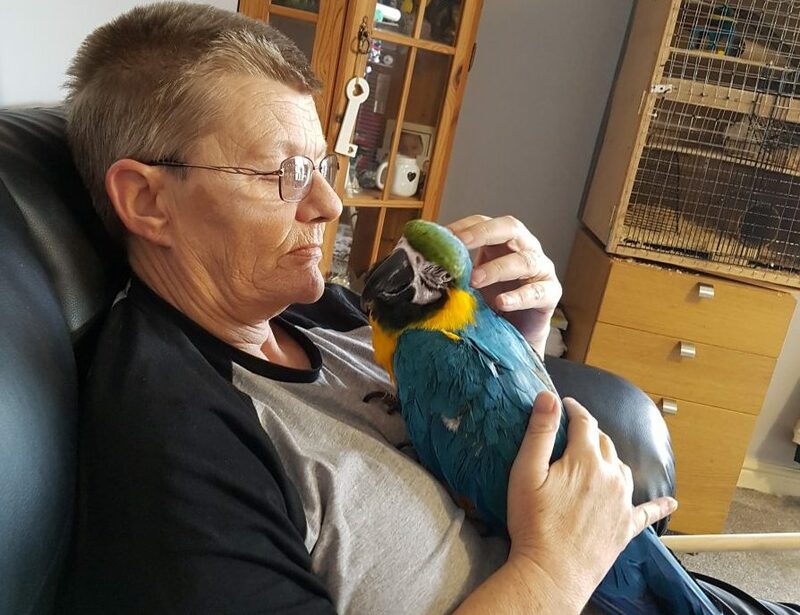 Sue insists says that the parrots have helped with her depression she’s had since her cancer diagnosis in 2016. She said: “I’m not going to give that up just because of those landlords. “The parrots have helped me so much. Sue and Claire have shared their two-bedroom flat in Norfolk with Spike, an Amazon parrot and Lola and Fred who are macaws for two years. Sue said that Flagship Homes came to her house on Tuesday (Jan 29) and demanded that she and Claire get rid of their adored parrots. Since that visit Sue’s friends have started a fund to raise money to buy her a static caravan to live in if she is evicted. She said: “Someone had complained about the noise and I can understand that people don’t want to hear birds shouting. “But I keep the noise to a minimum, my birds are quiet. Sue and Claire started a charity called Paradise4parrots which helps to relocate abandoned parrots. 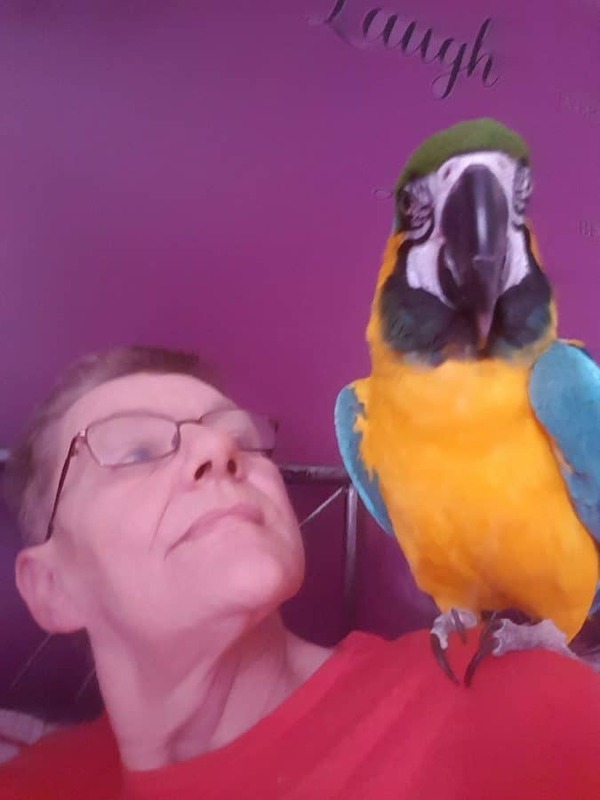 Because of Sue’s epilepsy, depression and partial paralysis caused by her adenoid cystic carcinoma, she can’t work so puts all of her time into parrots. She said: “These people obviously don’t understand the bond my parrots have with me and my partner. Sue says that Flagship Homes are planning a surprise visit in the near future to make sure that steps are being taken to have the parrots removed. Lynne Riddoch at Flagship said: “We understand that this is a distressing situation for Mrs Baggatt but under the terms of her tenancy agreement she is required to have written permission to keep pets. “We reserve the right to refuse this permission where we feel the property is not suitable and/or we are concerned that the pet may cause a nuisance to other residents.